Our knowledge regarding the pharmacological characteristics of octopamine receptors is copious, whereas we know only very basic aspects about tyramine receptor pharmacology. Thus tyramine receptors are in a situation that is very similar for most invertebrate bioamine receptors; we have no, or only very few information regarding their pharmacological characteristics. One major drawback is the lack of highly potent and specific agonists for tyramine receptors in general. The major classification tool for tyramine receptors is the higher activity of tyramine compared with octopamine. The same holds true for the antagonists available. Only very few ones, belonging to the group of "old" adrenergic antagonists had been shown to be active in blocking tyraminergic neurotransmission. One of this very few compounds is yohimbine, an indol-alkaloid of the yohimbe tree. Khan and colleagues reported that members of the 5-Phenyloxazoles contain both, octopamine and tyramine receptor agonists. This observation needs further experimental support . But as long as tyramine receptors are not considered to represent a valuable target for insecticides, we will not learn more about its pharmacology and no relevant leitstructures will be presented. The situation is totally different for the octopamine receptor, where a wealth of structural information is available. Hundreds of different compounds are known that display high affinity properties for octopamine receptors. Most of them are agonists and only very few are antagonists. The attention of pharmacologists was torn to octopamine receptor pharmacology after it became apparent that these receptors are exclusively present in invertebrates, representing an ideal target for specific insecticides [1,16]. This imbalance between our knowledge regarding the features of agonists and antagonists might reflect the observation that octopaminergic insecticides are always octopamine receptor agonists and never antagonists. This difference can obviously be attributed to the mode of action of octopaminergic insecticides. Usually they induce a conserved and stereotype syndrome that is best characterized by the leaf walk off phenotype. Following application of these insecticides, the animals start to become "nervous", a phenotype that increases over time leading to this leaf walk off phenomenon. Insects usually feeding on leaves have a too high motor activity to stay where they are, they stop feeding and finally they walk off the leaves, presumably induced by this higher motor activity. This hyperactivity of the nervous system is apparently the major reason for death of the poisoned animals. Application of antagonists would do the opposite, meaning that treated individuals are relatively calm and behave such as those mutants devoid of this hormone, meaning almost normally. During the time, a number of different leitstructures were identified that served as starting points for the development of even higher affinity compounds (Figure 1). Based on octopamines own structure, substances such as synephrine were characterized by their higher affinity. The first agonists with high insecticidal potential were the formamidines, with chlordimeform as the prototype [17,38]. Subsequently, additional compounds such as the phenyliminoimidazolidines or aminooxazoline derivatives were developed [21,32]. 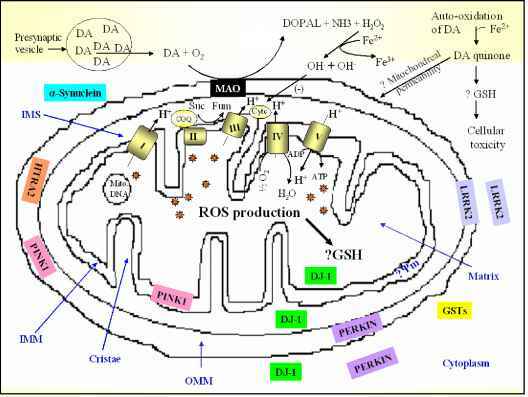 They displayed extremely high affinities for octopamine receptors with KD-values in the sub-nanomolar range. Some of these substances display a high insecticidal potency, but only "old" octopaminergic insecticides such as amitraz or chlordimeform were used for this purpose. Figure 1. Tyraminergics and octopaminergics. Compounds with high affinity properties for tyramine and octopamine receptors of insects. Only very few tyraminergics are known. Shown is the entire repertoire of known tyramine agonists (5-(4-hydroxyphenyloxazole) and antagonists (yohimbine). In contrast, a plethora of octopaminergic agonists are known and available (NC7 and demethylhlordimeform). The number of valuable antagonists is smaller, shown are the two most important ones (phentolamine and epinastine). n octopamine's own structure. Common to them is a phenolic function, which is obviously homologous to the one of octopamine. Substitutions at some positions are beneficial, whereas others tend to be detrimental. Again, in analogy with the structure of octopamine, substitutions in para- position are mostly beneficial. The other structural group may be an equivalent to the amino-group of octopamine. Formamidines usually have this archetypical structure, but in the more advanced compounds, this group is a 5 membered heterocycle. A spacer separates these two functional groups (phenolic function and 5 membered heterocycle). This spacer is of variable length, but if it is too small or too long, the corresponding compounds have a greatly reduced affinity. In Figure 1 some highly effective octopamine receptors are displayed. Only a few high affinity compounds with slightly different structural feature have been reported. The most promising candidate structures have affinities for octopamine receptors in the subnanomolar range, which means that this feature does not have to be optimized. To complement the classical pharmacological studies, modeling approaches were undertaken to identify the active site, thus allowing to focus on only some positions within the structure o the potential insecticides . The greatest challenge for the development of novel, highly valuable insecticides is to transform the high affinity properties into a high insecticidal activity. Thus, hydrophilic moieties have to be replaced by lipophilic ones, allowing an easy penetration of the insect cuticle and their ability to reach their primary target sites within the nervous system. Unfortunately, our knowledge regarding the actions of antagonists is limited. Only very few compounds are known to inhibit octopamine's action. Among them are especially those that show high affinity properties for other bioamine receptors, especially those of vertebrates. Very well known compounds that fall into this category are phentolamine and mianserin . Most of them show a limited degree of specificity for octopamine receptors as other receptor systems are also affected, sometimes at concentrations in the same range. Nevertheless, these antagonists were used to establish a valuable classification scheme for octopamine receptors. The lack of specificity for octopamine receptors impedes their use as in vivo pharmaceutical tools, because one never can be sure if the observed effects can be attributed to the block of octopaminergic neurotransmission. Only one antagonist combines high affinity with high specificity. It is called epinastine, and has a relatively broad pharmacological spectrum in vertebrates. In insects, it has an extremely narrow pharmacological profile, which allows very specific blockade of octopaminergic neurotransmission. This made it to an ideal tool for the dissection of octopaminergic neurotransmission in vivo , a feature that was used to elucidate some aspects of octopaminergic neurotransmission.